A chieftain of the All Progressives Congress in Ondo State, Odunayo Akinrinsola, has described the state as one of the poorest in the country despite being an oil-producing state. Akinrinsola said this during a chat with journalists on Saturday. Punch reports. He said it was unfortunate that despite the billions of naira received by the state by virtue of being an oil-producing state, Ondo had joined the league of states that could not pay salaries regularly. 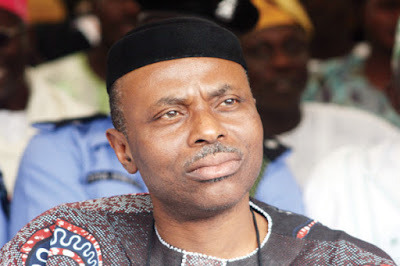 The APC chieftain said the Olusegun Mimiko-led administration had failed to create an enabling environment for businesses to thrive and that was why the state had remained a ‘civil service’ state. He said, “Ondo State is one of the poorest states in the country. If you’re in Lagos and you want to board a plane, hardly will you see a plane taking you to Akure. It is only the government officials that travel. Hardly will you see a commercial flight plying the Abuja-Akure route. So, it shows that nothing is happening in Ondo State. Akinrinsola said the state must be in the same party with the Federal Government in order to be able to enjoy the benefits of the ‘change’. He said it would be an injustice for the Peoples Democratic Party to continue ruling the state beyond 2016. Akinrinsola said with the state’s dwindling resources, the best person that would emerge as governor should be a technocrat. He said only a technocrat would be able to think outside of the box and ensure that the state stopped relying on the Federal Government for handouts.